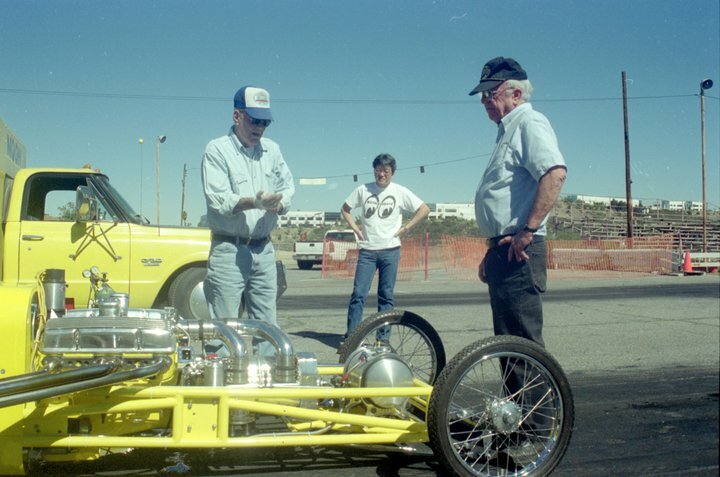 Dean Moon founded Moon Speed Equipment in 1950 and was one of the founding members that created SEMA in 1963. The company strived to provide top quality speed and safety equipment. In 1960 Moon aquired the Potvin Company from Chuck Potvin a close friend who manufactured ignitions, camshafts and front mounted blower drives and in 1962 moved the Moon Speed Equipment Co, to Santa Fe Springs California where it is today. The company faultered after Dean Moon's death in 1987 and the family struggled to keep the company going, enter Shige Suganuma who was a close family friend and Moon Eyes dealer in Japan who restarted the company as MOONEYES USA in 1992. Shige put Chico Kodama, a consumate Hot Rodder and ace mechanic in charge of the USA operations, who continues the traditions that Dean Moon stared in 1950 providing the finest in speed and safety equipment. 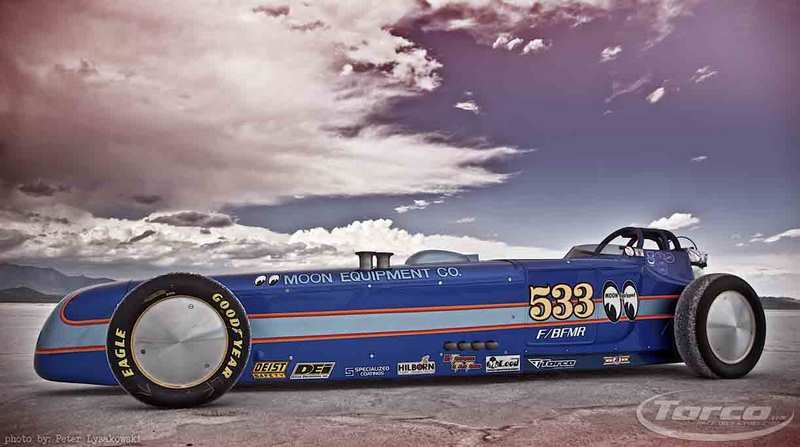 The speed equipment and custom fabricated fuel tanks, wheel covers and engine parts are still very popular with racers, customizers and hot rodders, they also do custom metal fabrication for customers who request it.. Chico is an active member of the Eliminators SCTA Club and campaigns the number 533 blown fuel modified roadster at Bonneville. MOON EYES USA was honored at the 2012 SEMA show with Chico accepting the Manufacturer Of The Year Award. In 1950 Dean Moon used TORCO Oil in his race cars working closely with Bob Lancaster in developing lubricants that solved problems that arose from high speed runs using exotic fuels and superchargers. 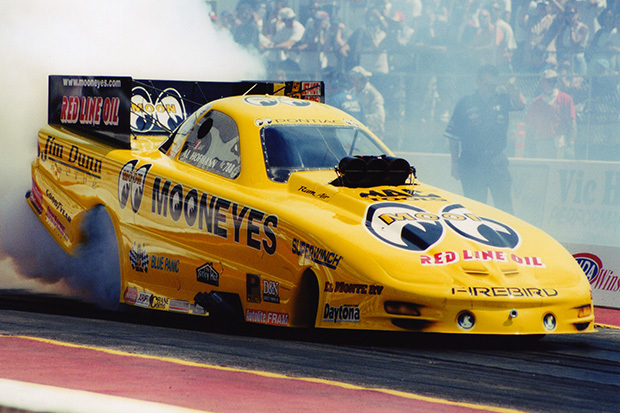 MOON EYES USA continues to use TORCO Advanced Lubricants in their race cars to this day and now sells TORCO Advanced Lubricants to their customers. 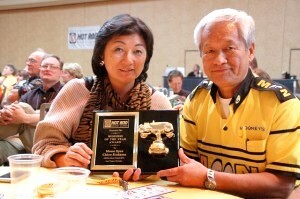 Chico Kodama and his lovely wife Sandy at the 2012 SEMA Awards Banquet.